The final Cyclone has certainly left an iimpression. A well built daughter by Moshe signals the last progeny of veteran mare Darsawye producer of Cyclone Sarah, Andy, Jess, Mia, Tim and Brave Maddie just to name a few. It looks like she has saved the best to last throwing what appears to be the best type she has produced. 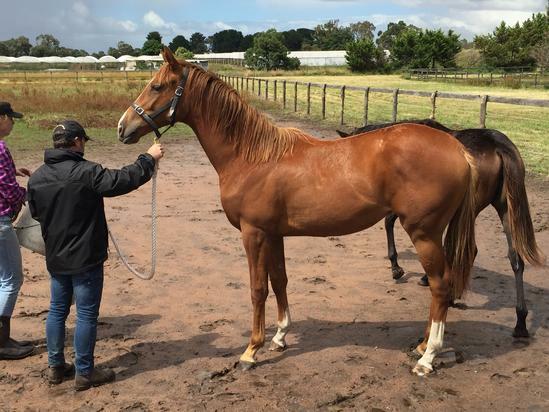 A chestnut with similar markings to her older siblings this girl looks a real runner with a deep girth strong shoulder and powerful hindquarter. As a homebred she will be given all the time in the world before being asked to be racehorse but to our eye she looks an early runner.